Do you know all there is to know about telomeres and wellness? Then don’t read any further. If you’re curious about how telomere stability may have something to do with what you eat, keep reading! Your DNA does not define you. I’ve heard from many patients (and some doctors) that they have their chronic medical condition due to their inherited traits. Their diabetes, high blood pressure, obesity, and high cholesterol are all “genetic.” That way of thinking is simply NOT TRUE. Only about 10-20% of these conditions can be attributed to genetics. The rest is due to lifestyle choices. It turns out that you tend to eat what your family has always served. It can be said in general, then, that DIET (not disease) is inherited. Therefore, you have 80-90% of the “say” in whether these diseases take hold of you or your patients. So what about telomeres? They are a pretty great marker for the health and longevity of a cell. 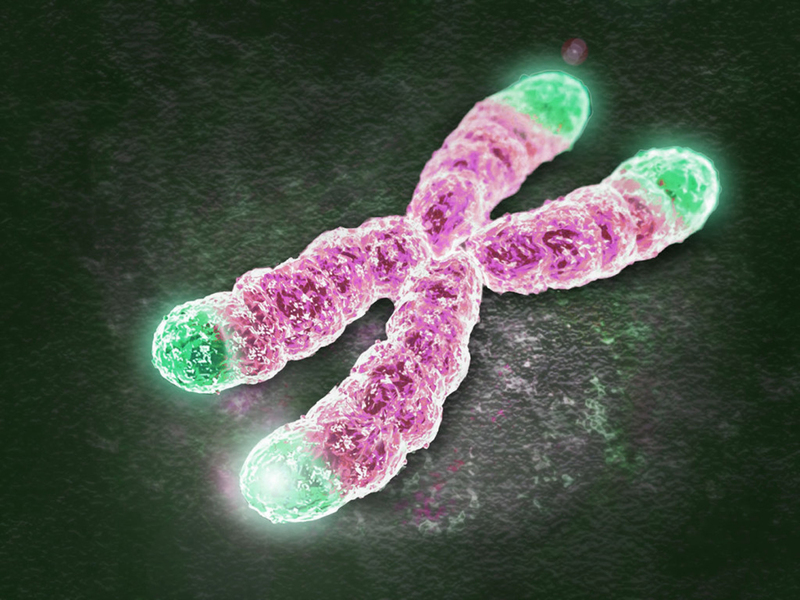 As you get older, your telomeres shorten. They are the repetitive DNA “protective caps” at the end of chromosomes that help minimize replication errors during cell division. It turns out that diet does improve your telomere length. Specifically, increasing your vegetable intake and decreasing meat and dairy intake will significantly increase the length of your telomeres. And while longer isn’t always better, in the world of telomeres and aging it is. For a great review of the telomere research literature, click here.